The Company's goal is to provide our customers with a quick oil change and lubrication service using quality products with courteous, reliable and professional service at the lowest price available in the markets that we serve. We will concentrate on performing a basic oil change service, (see complete list of items listed under services) and not perform many of the other services that our competitors do, such as radiator flushes, transmission fluid changes, etc. ; so that in most cases we can in fact complete the servicing of our customers vehicle in 10 minutes or less. Furthermore, the small number of additional items which we do offer, such as air filters, will never be sold using high pressure sales tactics. Employee training programs are specifically designed to ensure that all employees understand that the primary goal in checking the customers air filter, fluid levels, etc. is to ensure that the customer's vehicle is properly serviced by bringing all additional service needs to the customer's attention - NOT to generate additional sales. Prompto 10 Minute Oil Change has 25 locations throughout New Hampshire and Maine, so there's certain to be one near you. Don't postpone your vehicle's oil change another week - stop by one of our convenient locations today. If you need an oil change in Portland, ME or anywhere else in Maine or New Hampshire, get it done fast at Prompto 10 Minute Oil Change! 25 locations to serve you better - and FASTER! Prompto Oil Change is based in Westbrook, ME. Our flagship shop is located in Portland, ME. Our oil change company has been around for over 30 years. That amounts to more quick oil changes than you can shake a dipstick at! Don't wait another day to get your vehicle's oil changed. Come visit any of our two dozen locations throughout Maine and New Hampshire today, and click below to find the one nearest you. 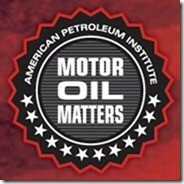 PROMPTO is now licensed by Motor Oil Matters (MOM), a program of the American Petroleum Institute. This licensing assures the consumer that they are receiving high quality oil in their vehicles, and provides a chain of custody from refinery to the retail consumer. As an API licensed dealer in the MOM program, PROMPTO strives to provide their customers with the RIGHT OIL FOR THE RIGHT VEHICLE. PROMPTO ensures that the motor oil we use in our customer's vehicle is recommended by the vehicle manufacturer for that engine. Click on the MOM logo above for more information from the American Petroleum Institute.